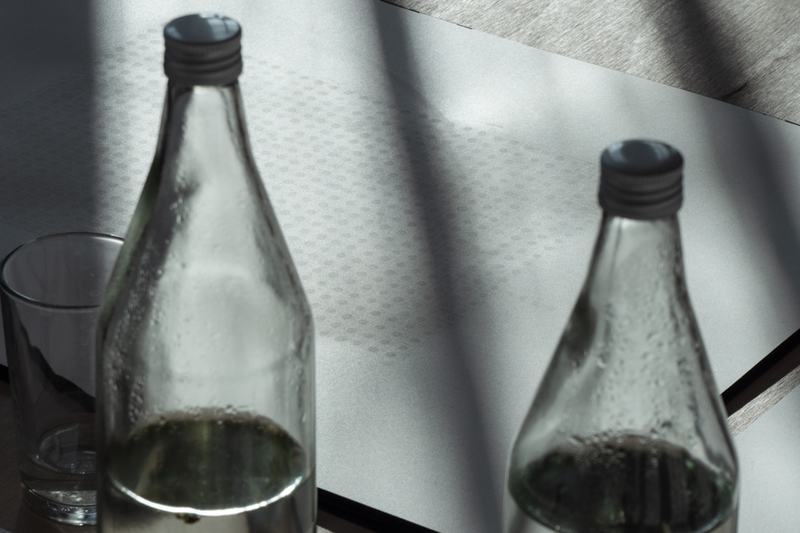 The central element of the exhibition is an environment set for work: a table, paper as a foundation material and – water. Nothing more, nothing less, just water. Well, different kinds of water. Water collected from the proximity of the Břevnov monastery, melted snow from the monastery garden, water from Botič brook, river Vltava, tap water from private flats in Prague and also from a few public buildings. 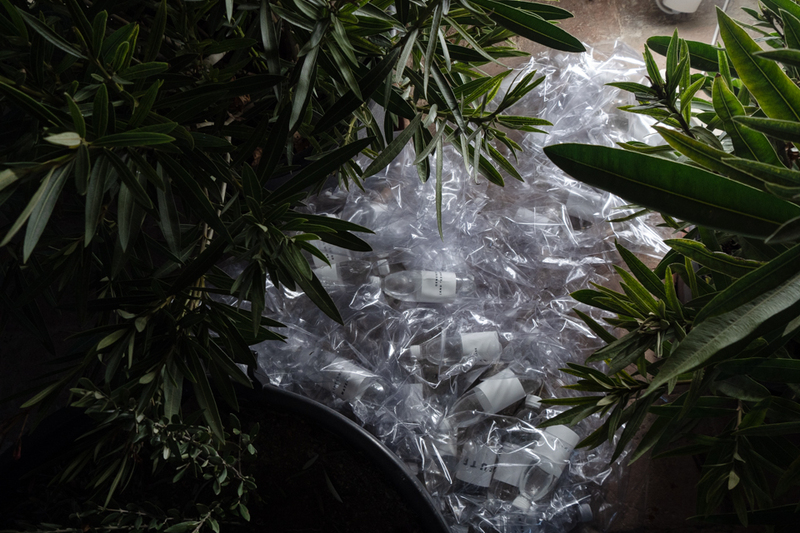 Water filled PVC bottles, and these filled up PVC bags. 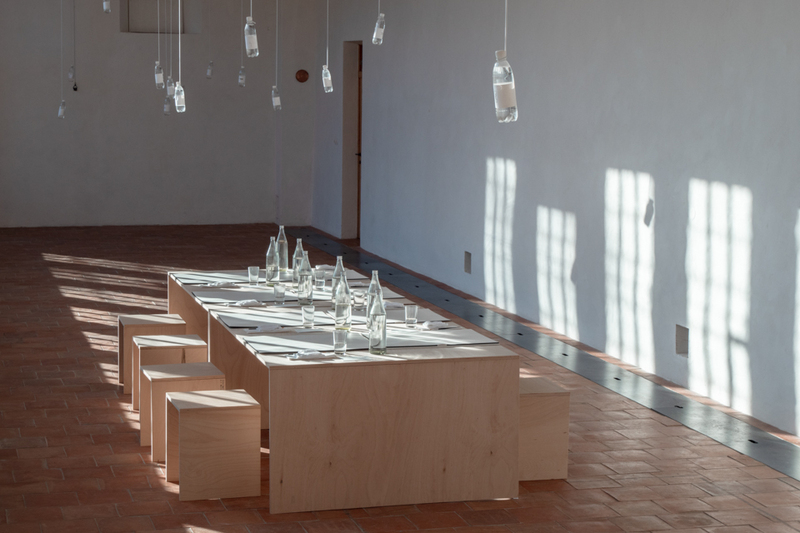 Water as a basic element of the act of painting, water as a part of an object and water that exists in the evaporated form in the space of the former orangery. Water leaving marks. 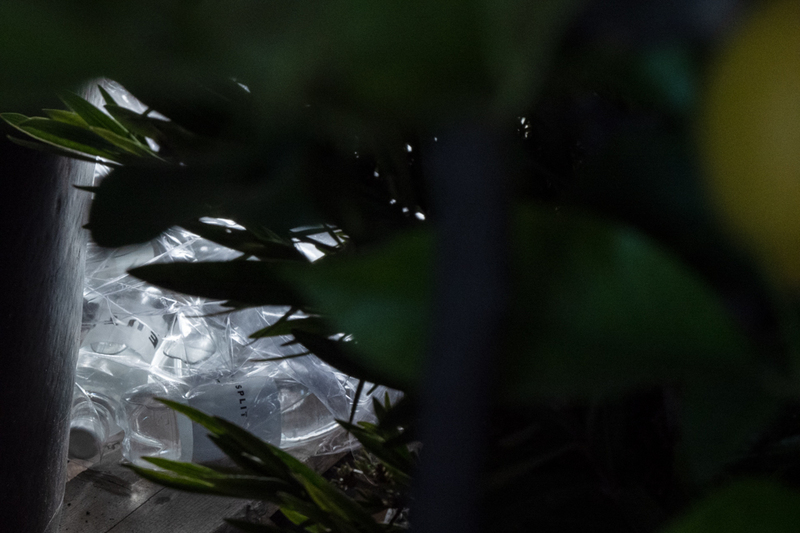 Christl Mudrak continues in her 2017 project that originated during her residency at the Helsinki Pavilion in Venice in which she experimented with painting and water from Venetian lagoons. 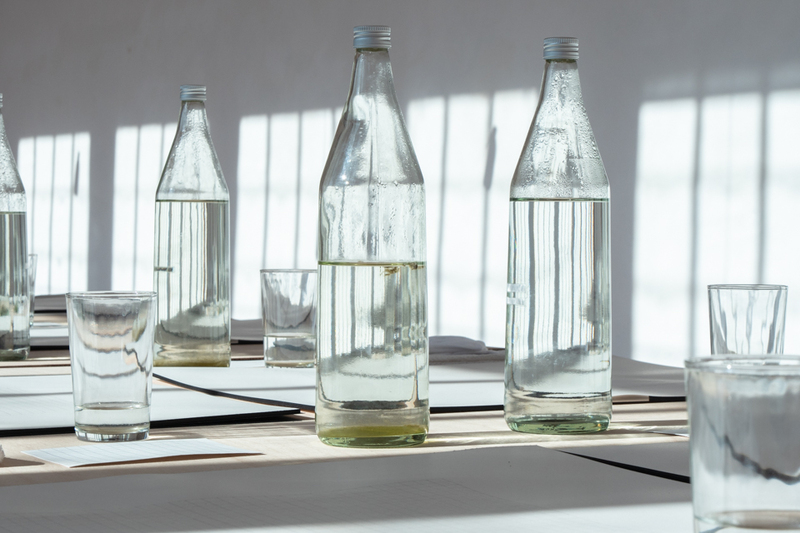 For Entrance Gallery, the author also collected water from various local sources without adding colour that would serve as the basic element for the experiments with the media of painting. This time, the importance lies in the origination of the work of art, in the process of creation, a performative workshop before the opening. Christl Mudrak chose a drop of water for her exploration. A drop of water is the elementary painting letter. She applies it with scientific accuracy to selected places which is an act requiring precision, patience and concentration on the smallest detail. The result is visually tender. 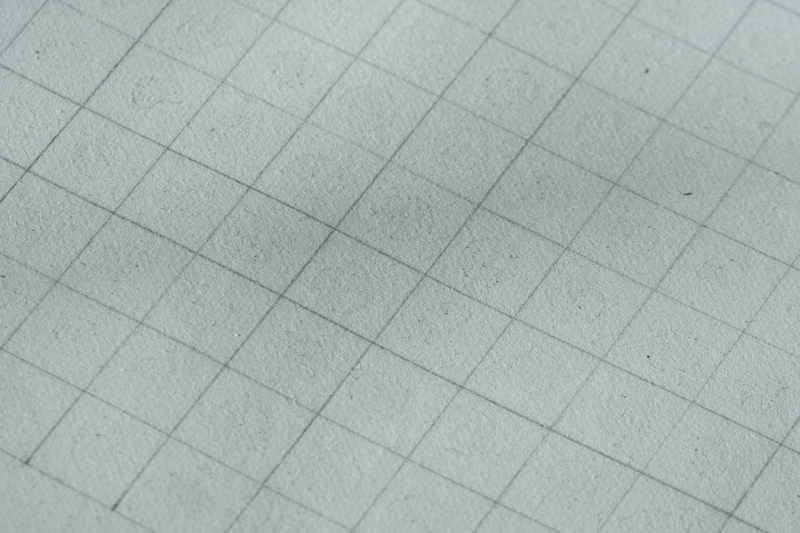 The smallest difference in the shading and the traces of the drops are important here. This method does not end at analysis of the medium or plain application of minimal formal means. Mudrak tries to change the way we perceive ordinary things, suspend at what we decided to take as a matter of fact. Through seemingly simple repetition of the same, the author tries to shift our perception of the everyday reality. As a guest, Christl Mudrak selected a Czech artist Romana Drdová whose work is characteristic for its precisely formulated visuality. Tenderness, gentleness, translucency are qualities often associated with Drdová’s work and they also bring the image of water into our mind. 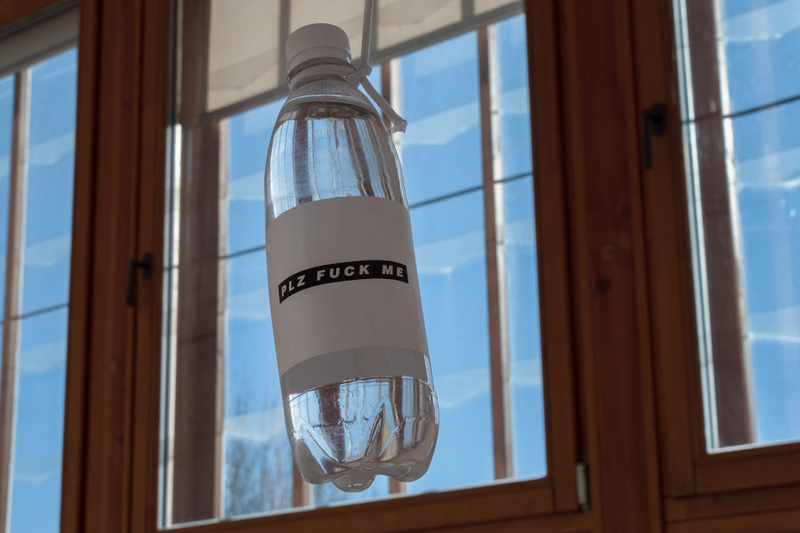 In the project called Water self (2016), Romana Drdová imprisoned this element into PVC bottles with elegant labels and simple signs that served as irony for lack of substance in advertisement. The artist reconstructed the project and thus allowed new possibilities of interpretation of the whole exhibition. 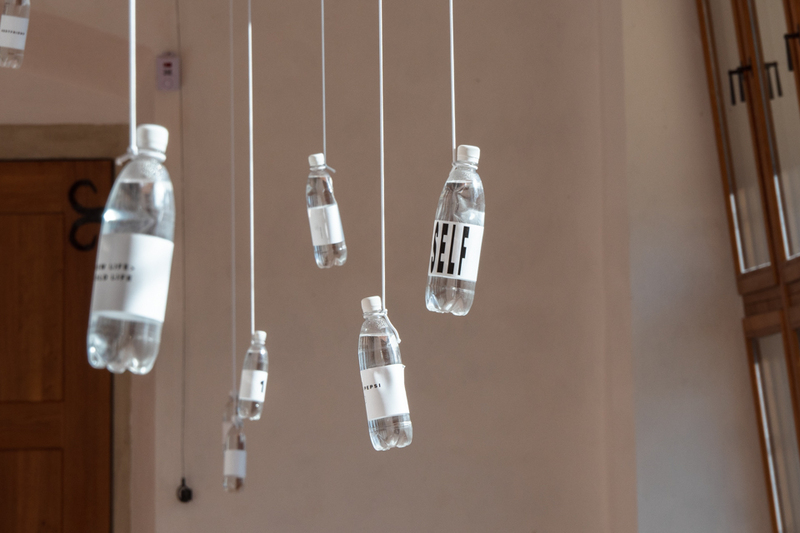 Her clear and perfectly shaped PVC bottles lead us to think about the meaninglessness of consumerism and principles of marketing. The packaging sells the content. 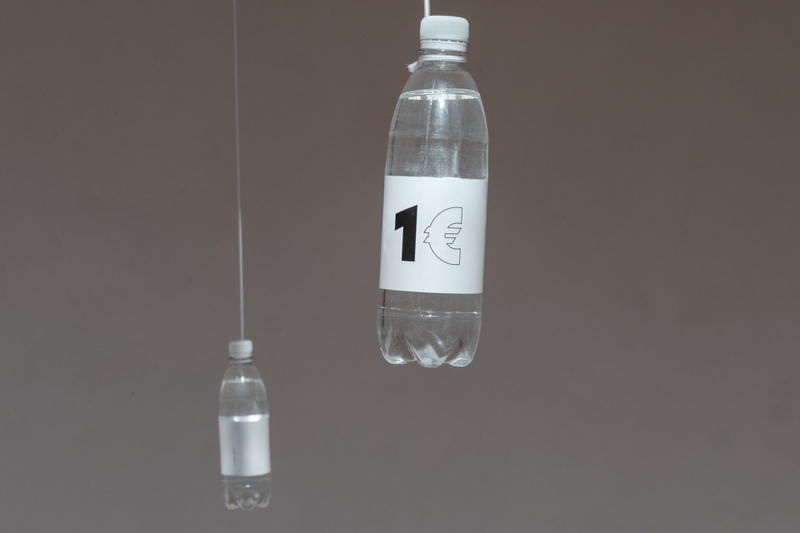 What can be more efficient than packaging that catches the eye? Perhaps two of those. The exhibition opens the yearly program of Entrance Gallery that thematizes relationships of contemporary Czech art scene with the foreign countries. The exhibition was supported by the Czech-German fund for future. 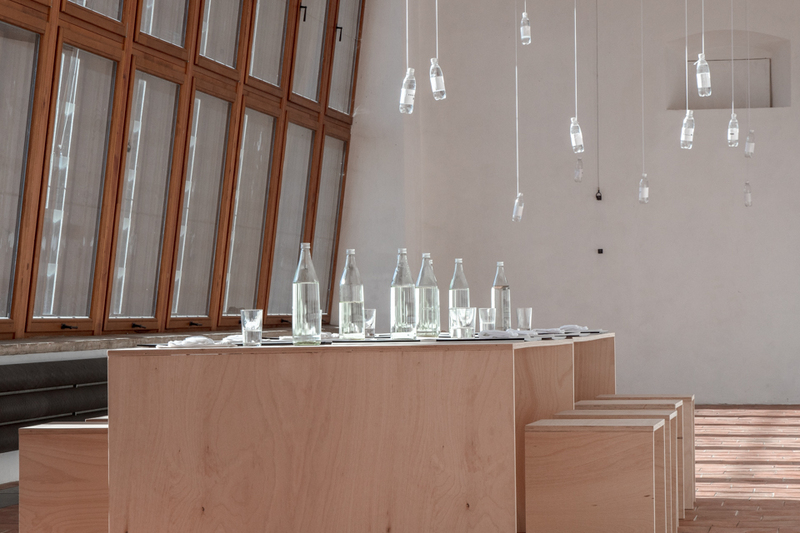 The Gallery is continuously supported by Magistrate of Prague, the Ministry of Culture of the Czech Republic, Foundation for contemporary art in Prague, GESTOR and Prague 6.